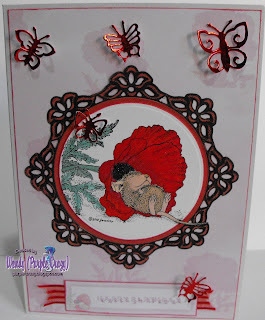 I chose to use a House Mouse stamp, my CD elements are from JS House Mouse Inserts CD, my colouring was done with promarkers, Marianne Designs dies were used for the frame and the butterflies. 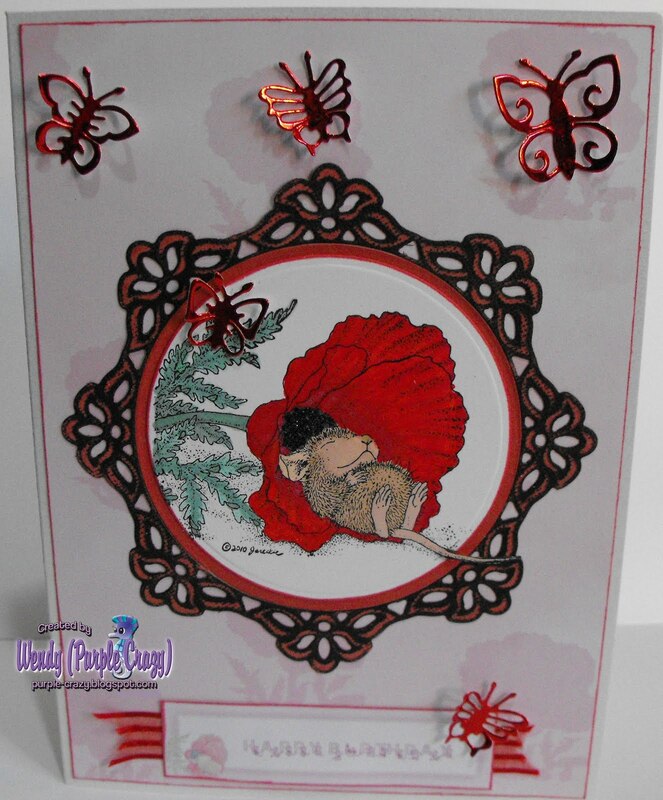 Lovely card Wendy, love the stamp and what you have done with it. Haven't got the Cd yet, will go on my wish list for next NEC...Lol!! What a lovely image and it looks great on that mat. Fab card. I just love House Mouse. A great card Wendy. He/she is just sooooo cute! !